Today #guestauthor @barrow_judith. Local history, stories with heart and memories of times past but not gone. I cannot recommend these books strongly enough. I found them on twitter a long time ago and have been a huge fan ever since. As you know, on Friday’s I bring you guest authors. Recently I’ve also been trying to bring to my blog authors and bloggers I know and exchange comments with often, but I’ve come to realise they’ve never made it as guests to my blog yet. Today it’s Judith Barrow’s turn. She’s a fellow author who is very generous in discovering interesting content and promoting it, she is a sharp reviewer with a very keen eye on Rosie’s Book Review Team (hey! ), and she writes about subjects that will be close to many people’s hearts. And her latest book was just published on the 17th of July, so, what better reason! 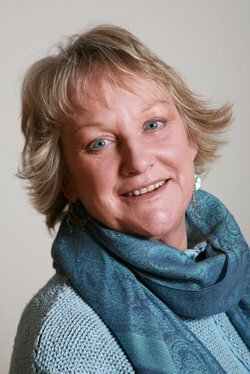 Judith Barrow,originally from Saddleworth, near Oldham,has lived in Pembrokeshire, Wales, for thirty four years. How fun to see Judith and Olga here. Have a wonderful weekend, Christoph. Hugs! Many thanks for re-blogging Olga’s lovely post, Christoph. I’m thrilled with it.